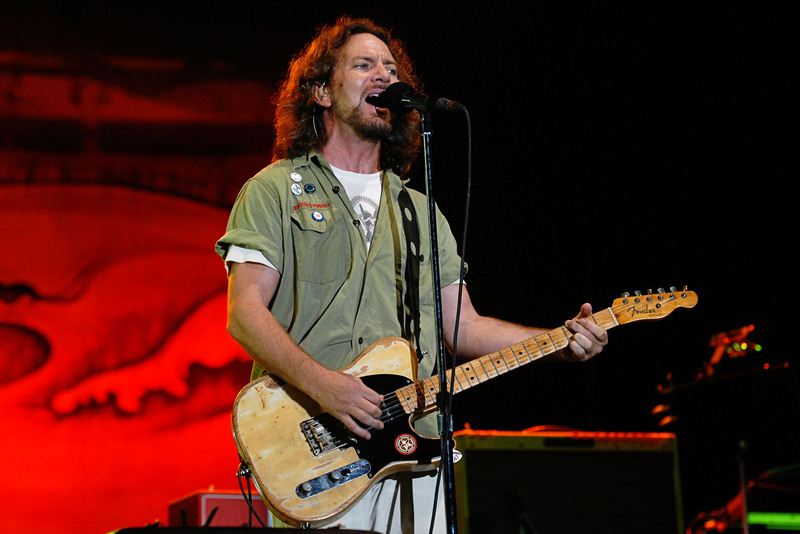 Eddie Vedder must have received a pack of stickers from Obey that he used on his guitars. 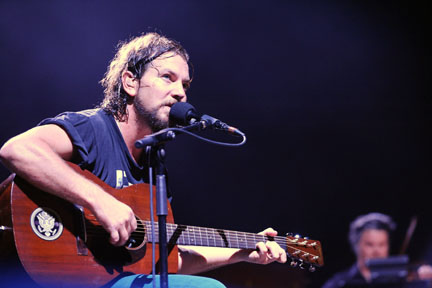 We did a previous post about Eddie Vedder’s Vintage Martin Acoustic With Sticker. 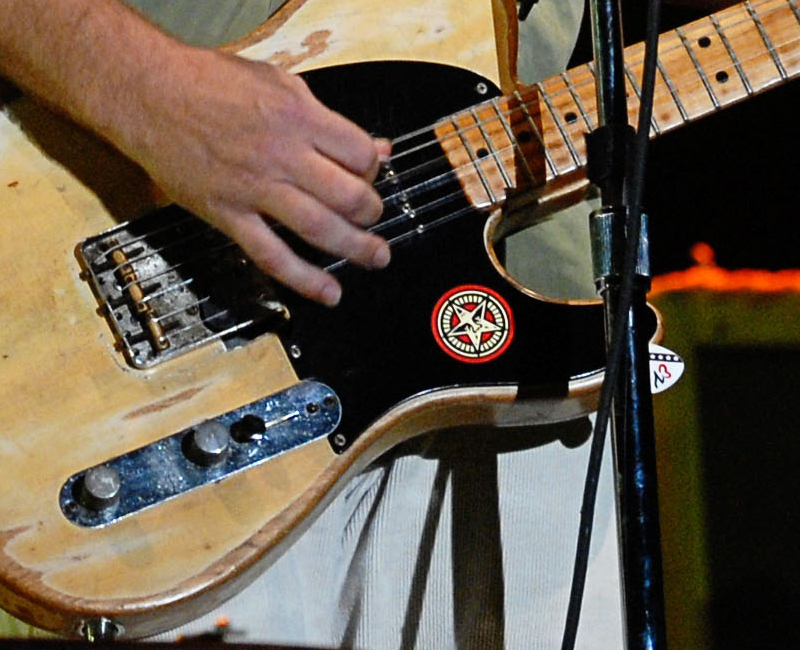 Now we found another Vedder guitar with an Obey sticker. This time is is on his vintage Fender Esquire. Th sticker comes in a pack along with the one he stuck on the Martin guitar, also here’s a close up of the EV guitar pick he has wedged under the pick guard.